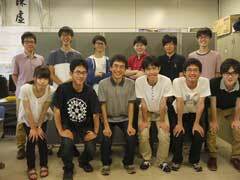 National University of Tsukuba is developing ITF-2 “Yui 2” that was selected as an ISS release satellite by JAXA in September 2014 (scheduled to be released in 2016). Designing and development are done by the hands of students so that they can acquire various experiences and knowledge through satellite project activities. “Yui 2” aims to build a worldwide space community by connecting people who have shared experiences of receiving satellite signals. In the project, we strive to nurture students who have a bird’s-eye view while looking for cooperation from professionals of JAXA and of satellite development from affiliated companies, through not only acquiring skills but also designing and developing satellites to systematically learn “craftsmanship” in large and long-term projects that students will experience in the future in the society. Thanks to the help of antenna1st, I was able to set the prospect of installing lithium-ion batteries in the spacecraft. In considering space development, from the viewpoint that cooperation with fields other than engineering is important, we are opening the door of the project for various students of University of Tsukuba who are interested in space. Under this policy, we aim to be a source of a wide range of ideas for space development. For thinking on space scale, we cooperate with the Super Global University Project at University of Tsukuba and will be promoting exchanges with overseas. I sincerely hope that the students at University of Tsukuba who have a high potential through satellite development will be active in society for a better future. The state of release from the International Space Station can be viewed on the JAXA channel. © Copyright 2019. powered by antenna1st.com.